Freddie Langiotti got the scoring started for the University of Tampa in this February 1987 game. With future major leaguer Tino Martinez in scoring position, Langiotti knocked a single and brought Martinez home. The single gave Tampa a 1-0 lead in a game the school went on to win by a 5-1 score, The Palm Beach Post wrote. Langiotti went on from Tampa to make the pros. Unlike his teammate Martinez, however, Langiotti never made the bigs. He played four seasons, making it as high as high-A. 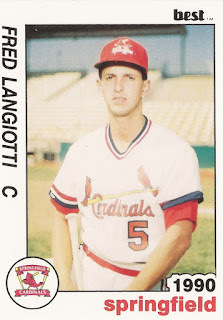 Langiotti's career began in 1988, taken by the Cardinals in the 21st round of the draft out of Tampa. Lantiotti is also sometimes credited as Fred Langiotti. At Tampa, the catcher Langiotti made second-team all-conference in 1988, along with the all-tournament team. He tied a March 1988 game for Tampa late on a two-run home run. That home run marked his second in two days. 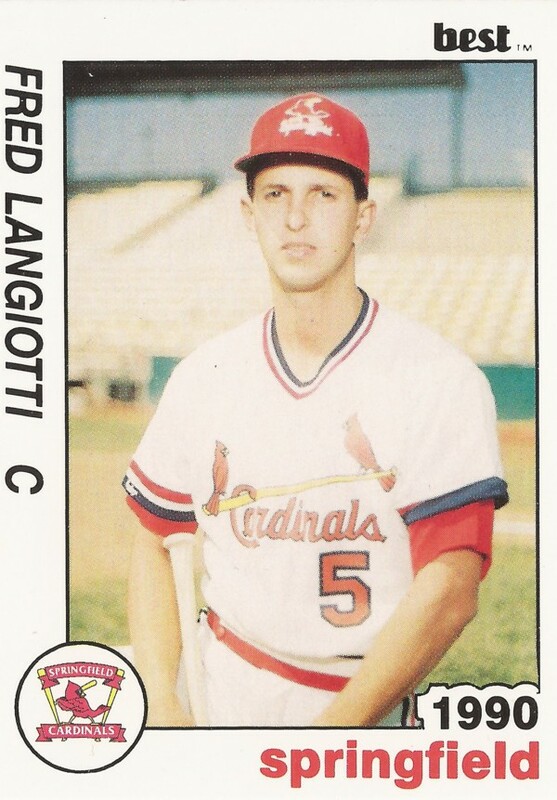 With the Cardinals, Langiotti started at rookie Johnson City. He got into 27 games and hit .186. His first pro hit came June 20 against Elizabethton and knocked two hits in a July game at Burlington. He then moved to single-A Springfield for 1989. He picked up three hits in an August game against Kenosha. Overall, he hit .181, with one home run. Langiotti returned to Springfield for 1990, where he hit .219 in 98 games. He then finished out his career in 1991 at high-A St. Petersburg. In 31 games, he hit .197. Langiotti has since gone on to a career as a youth coach and high school athletic director. He spent two seasons as a rookie and high-A coach in Tampa for the Yankees. He then spent 14 years as athletic director for Tampa Central High School, until 2014, and works in 2017 as a private instructor and assistant coach at Berkeley Prep in Tampa.